Open Window Theatre's play Edith Stein* is a powerful and thought-provoking play. But it's not an easy one, either to watch or to write about. Partly because it's about the Holocaust, which is an extremely complicated and sensitive issue. And partly because I have my own personal issues with the Catholic Church, which are difficult to set aside. Maybe the solution is not to look at it not as a general statement about the Holocaust and Jewish/Catholic relations (I think Minnesota Jewish Theater's Our Class did a better job of exploring the subtleties and complexities involved), but to look at it as a depiction of the life of one woman, who was inspirational not because of her conversion or death, but because of her intelligence, ambition, and conviction. Edith Stein was a Jewish woman who converted to Catholicism and joined a convent, was killed in a concentration camp in 1942, and was later declared a martyr and a saint by the Catholic Church. 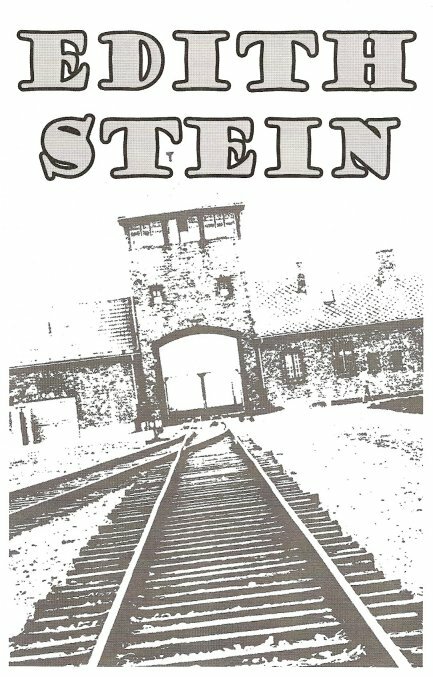 The play begins with a Jewish historian visiting a convent near the site of Auschwitz, asking them to move out of respect for the millions of Jews who died there. The nun engages the historian in a conversation, and the story of Edith's life is then told, with occasional flashes to the present to return to the conversation. We see Edith celebrating the holy day of Purim with her family, and hear about her work with wounded soldiers during WWI. She leaves the home and family she loves to pursue her education and career. She's inspired by reading about the life of St. Teresa of Avila to convert to Catholicism and join a convent. Despite my issues with the Catholic Church, I do have great admiration and respect for nuns; throughout much of history the convent was one of the few places where women could go to receive an education and live an independent life. Perhaps that's part of what drew Edith to it. While she's preparing to take her vows, a Nazi soldier named Karl-Heinz begins to visit the convent and speak with Edith (now called Sister Teresia Benedicta of the Cross) through a screen. He becomes obsessed with her, and she is asked to continue speaking with him as part of her service, despite (or because of) the fact that he represents everything she's fighting against. This part of the play is fictional, but her conversations with him help to shed light on her beliefs as she tries to explain them to this man. Edith is eventually transported to Auschwitz and killed along with millions of Jews. Highlights among the very capable cast, directed by actor Josh Campbell, include, first and foremost, Kendall Anne Thompson as Edith. She does a wonderful job portraying this strong and independent woman, at the same time expressing her vulnerability and doubts. Meri Golden is believable and sympathetic as Edith's mother, who clearly loves her daughter despite being disappointed at the choices she's made and the direction her life has taken. Jeremy B. Stanbary, the Artistic Director of Open Window, is a commanding presence as Karl-Heinz, somehow creepy and charismatic at the same time. Unlike Karl-Heinz, the other Nazis in the play are caricatures of pure evil, which is an easy trap to fall into. This oversimplification can be dangerous; if we forget that Nazis were human beings just like us who let their fears take over and turn into hate and discrimination, we run the risk of going down that same road, in small ways or big. I always enjoy checking out new theaters. This one is actually new, not just new-to-me. Open Window Theatre is in its inaugural season in a warehouse behind the Basilica in Minneapolis. The space reminds me a little of Yellow Tree Theatre in Osseo - unassuming exterior, warm and cozy lobby, and black box theater (I think they even have the same comfy lawn chairs as theater seats). The stage itself is set up as a cross (I doubt that's a coincidence) with the chairs facing in different directions. There are no set pieces; the sparseness works well for the piece. Despite whatever issues I may have with the subject matter, the play is very well done. I wish them well in their new venture and will continue to keep an eye out for future productions. Next up: The Hobbit, which is sure to be much lighter! 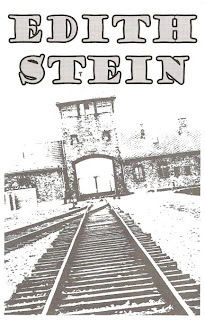 *I received one complementary ticket to see Edith Stein.